Instant Recipes-To Slow Down Clock In Morning With Taste! Food Factory Instant Recipies -To Slow Down Clock In Morning With Taste! Instant Recipies -To Slow Down Clock In Morning With Taste! Let your kids have an instant taste of these morning health busters!! We all starve for tasty food which is also instant in cooking. Most of the times we are unable to cook tasty food in the morning as it is the only time when all the things are in rush. 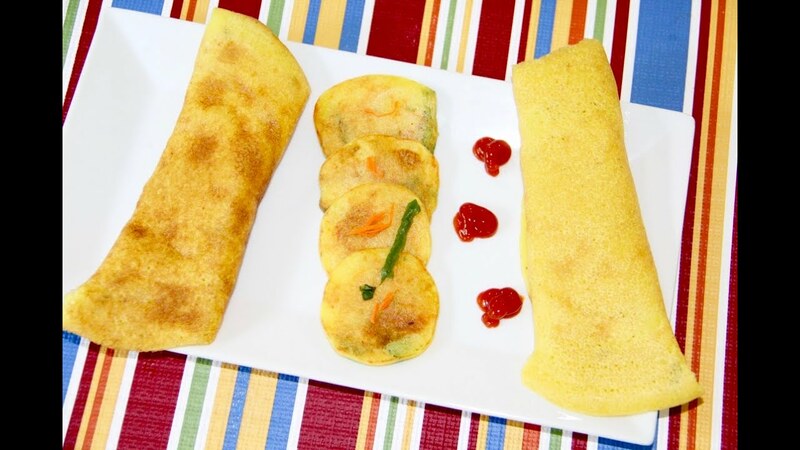 We are today came with “Instant Recipes” which will be cooked instantly and beat the morning clock with taste. Have a look over our “Instant Recipes” list and make your kids happy daily! 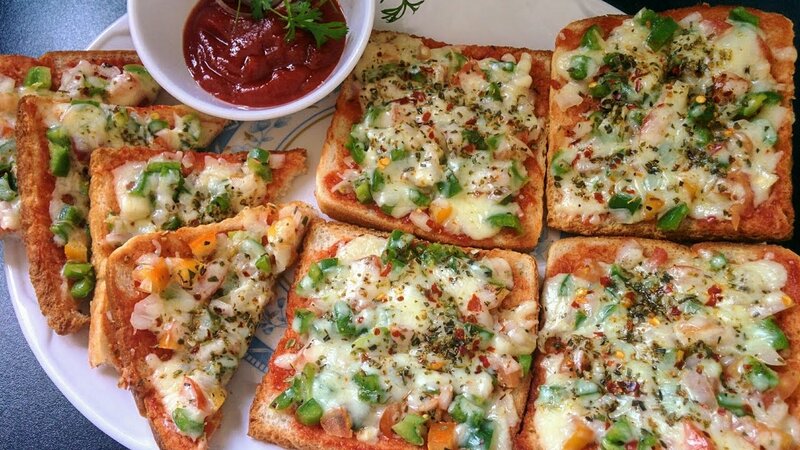 Quite easy to make, Bread Pizza consists of many vegetables and thus healthy to have in the Morning time. Take a bowl, put semolina, salt, black pepper, milk cream and mix it well. Put water into it and make a paste of all. Now chop tomato, onion, and capsicum and add into the semolina paste. Mix well. Put tava on the stove. Take a piece of bread, apply semolina paste on one side of bread. Do the same with all bread pieces and roast on tava till they get light brown. Try this cheela for your kids! Take a bowl. Put all ingredients into it and mix well. Put tawa on the stove, spread one serving spoon paste on it and roast it till get brown from both sides. 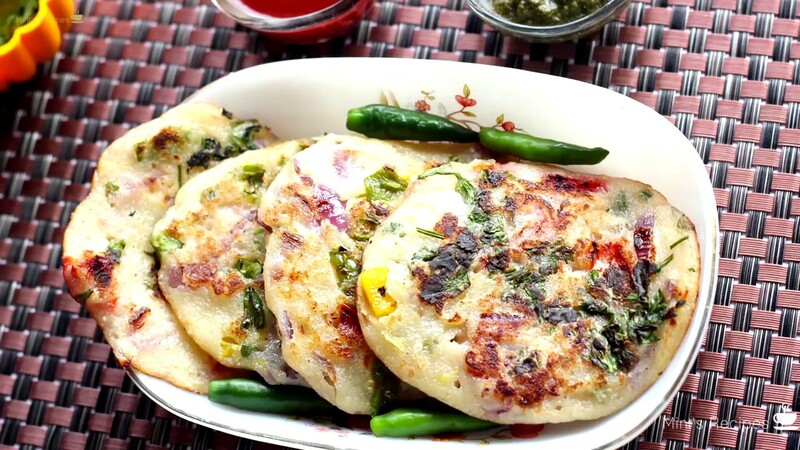 Uttappam is basically a South-Indian dish which is very light weighted to have your morning breakfast. Put samolina, baking soda, salt, black papper, curd and water in a bowl, mix it well. Now chop vegitbales and mix well into the samolina paste. Put tava on stove and spread like cheela one by one. Finely chop all the vegitables. Mix all ingredients in a bowl. 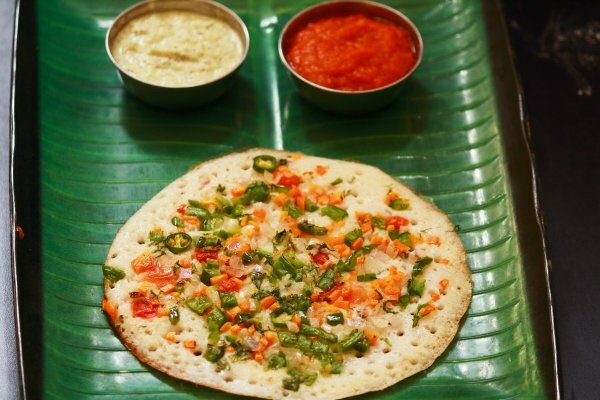 Put Appam stand on gas in low flame. Put one one spoon samolina paste in stand, cover it and roast it from both sides. Serve hot with any spread. Mix all ingredients in a bowl except oil and mustard seeds. Put kadahi on stove. Put one spoon oil in wok. When oil get heated add one pinch mustard seeds in it. Now put one serving spoon samolina paste into it. Cover it with plate and and get flame sim. Cook both side till it gets golden brown. 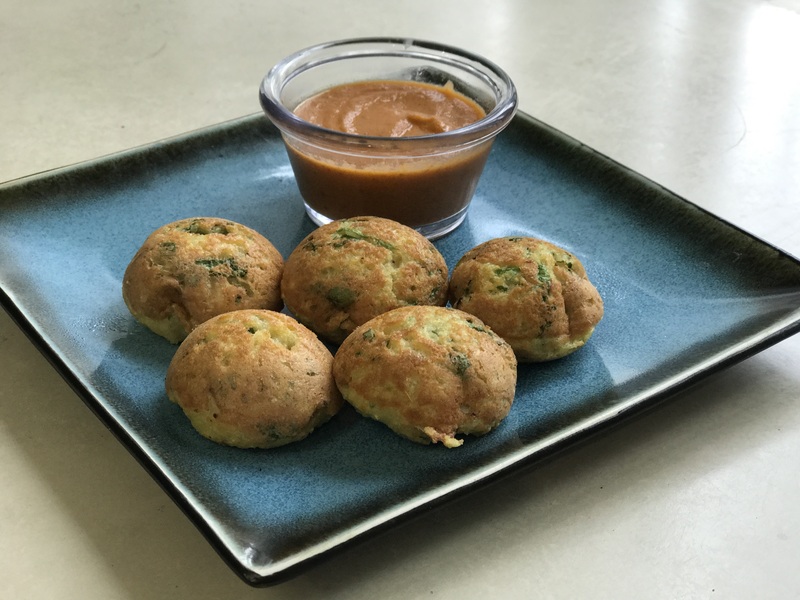 If you are not aware with these healthy instant recipes then, surely you are adding so much of your precious morning time into cooking stuff. Try out these recipes and unburden your cooking timetable a little.